I was sorting through the storage room in my basement recently and came across a banker box full of maps that my husband had collected when he used to travel for work. From the chock-full lines and grid pattern of New York City to the gradations of yellow to green in mountainous Colorado, each map was so unique and its own work of art. With the introduction of a GPS in every car and mobile phone, the need for physical maps has lessened significantly over the years. Gone are those days where you are following along on a CAA triptik route planner. So for those of you who have held onto old maps, here are five projects we’ve come across that used and showcased these beautiful maps. 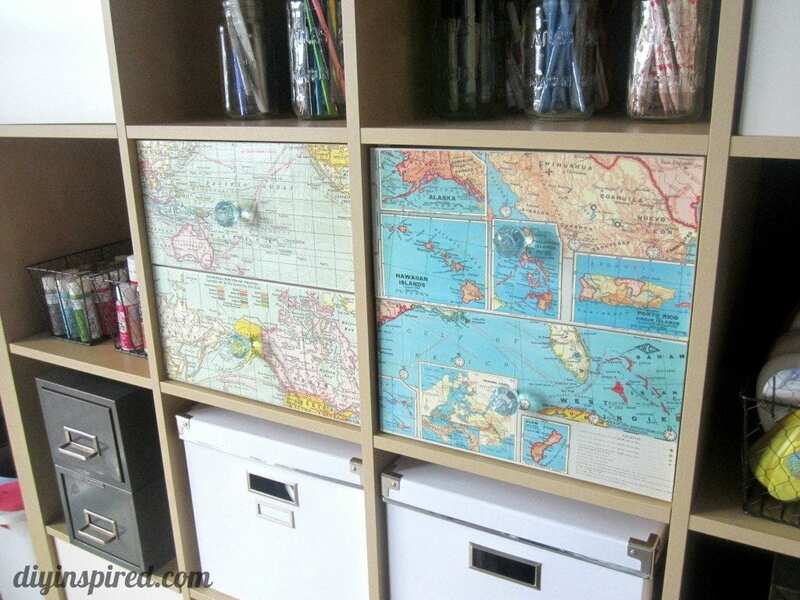 We love the use of old maps to resurface a plain drawer face from DIY Inspired. 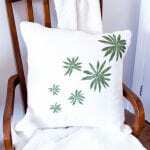 You can choose the type of map you want that will fit in with the rest of your room decor: maybe the ocean and tropical islands for a calming effect or the streets of any large city for an edgier look. There’s always some occasion that comes up that we’re in need of a gift bag. 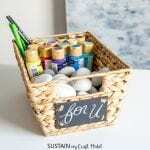 This “maptastic” gift bag from The Country Chic Cottage is a great alternative to a generic gift bag from the dollar store. The bag will be just as special as the gift inside. 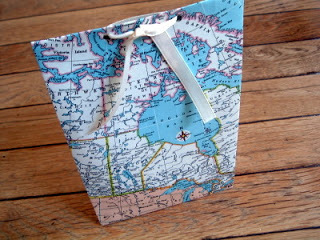 Also, why not consider using old maps as gift wrap for those boxed presents? What a great conversation starter! 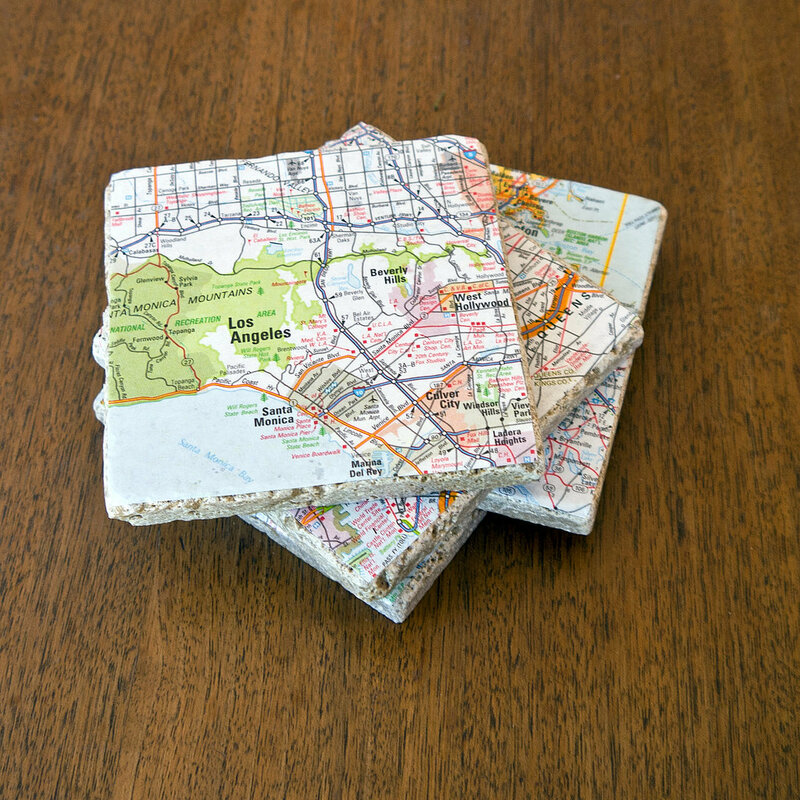 These cool upcycled map coasters from POPSUGAR will have your guests reminiscing of their travel experiences and daydreaming about their future trips. 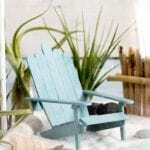 You can use a map from a special trip or some destination you have on your bucket list. 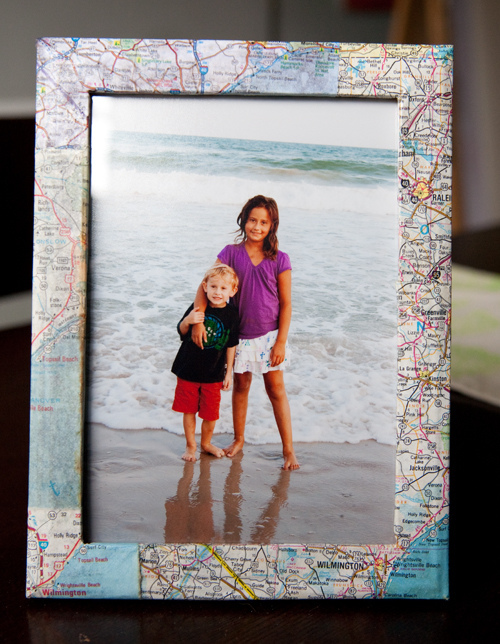 The next time you go on a vacation, why not collect some local maps and use them to upcycle an old frame. Put one of your favourite pictures from your trip in the frame and you have a beautiful keepsake like this one from DIY Del Ray. 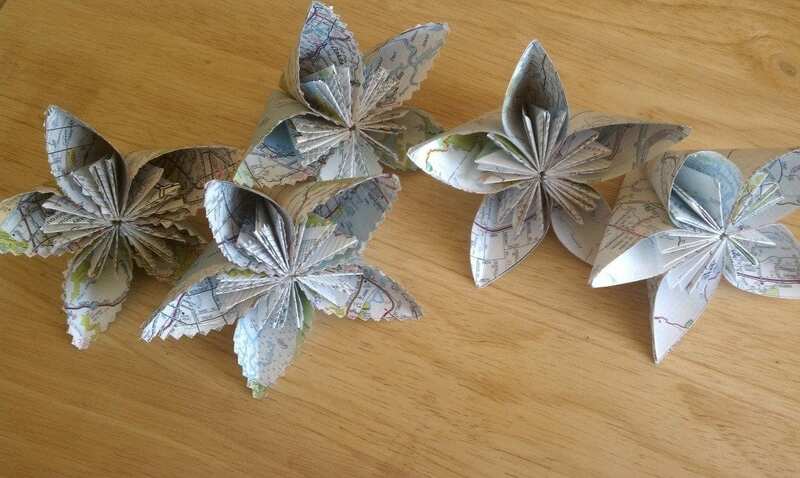 We love how these paper map flowers from Fancy Pants Weddings turned out. 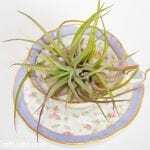 A collection of these simple yet intricate-looking flowers together on a canvas would create a stunning three dimensional piece of art in any living room. Normally, I wish my husband wouldn’t collect so many things, but in this case, I’m glad he held onto his old maps. 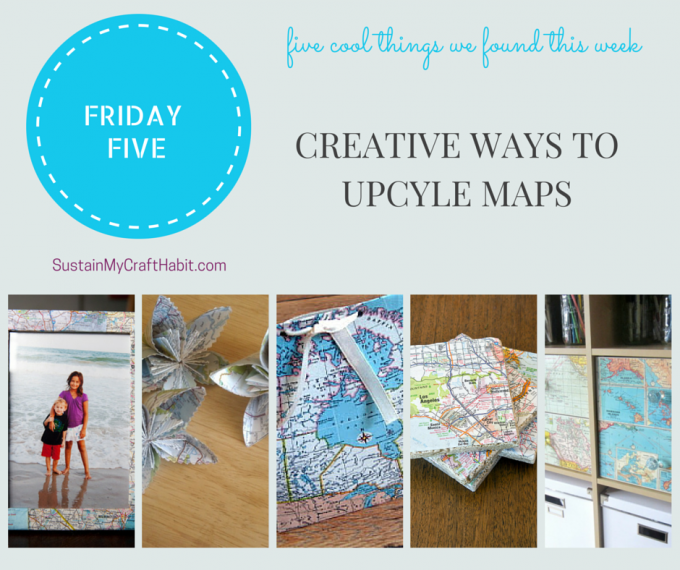 What would you make out of your old maps? Thank you for stopping by Kristen! We are really enjoying our experience as co-hosts for the #HomeMattersParty. You ladies sure know how to throw a linky party! Those would be great to use Lorelai. I’m appreciating more and more the beauty of maps and love the idea of displaying them. 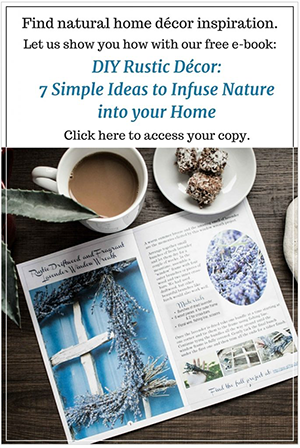 We are really enjoying our #HomeMattersParty co-hosting experience! Thank you for having us. Thank you so much. We will definitely be back for the Lou Lou Girls Fabulous Party (http://www.loulougirls.com/search/label/linky%20parties) tonight. Thank you for stopping by. I have also used them to wrap presents as well. Love cohosting the #HomeMattersParty with you. That’s a great idea Melissa. That would look beautiful. Thank you for stopping by!